These little butterballs seem to be living the high life right now. 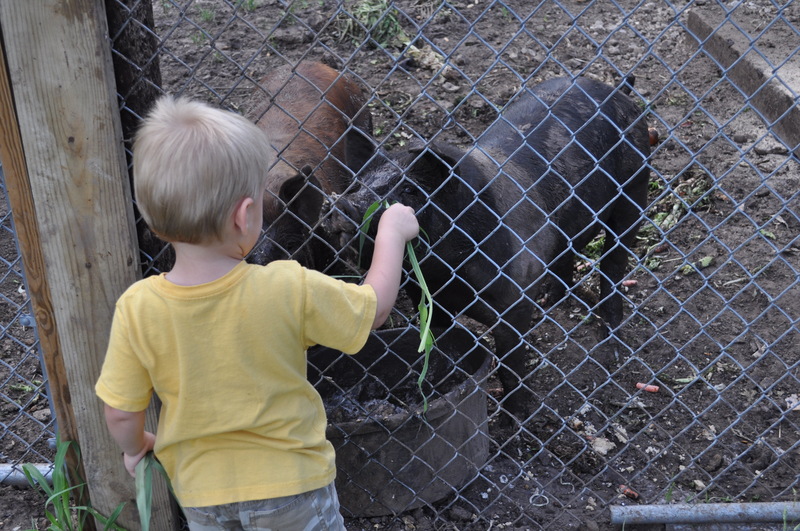 With all of the cafeteria scraps Gage has been bringing them, they appear to be in hog heaven. Yep, I think they plan to enjoy this summer whole hog. Okay, okay, enough puns. 🙂 But honestly, I have NEVER seen pigs get so fat, so fast! 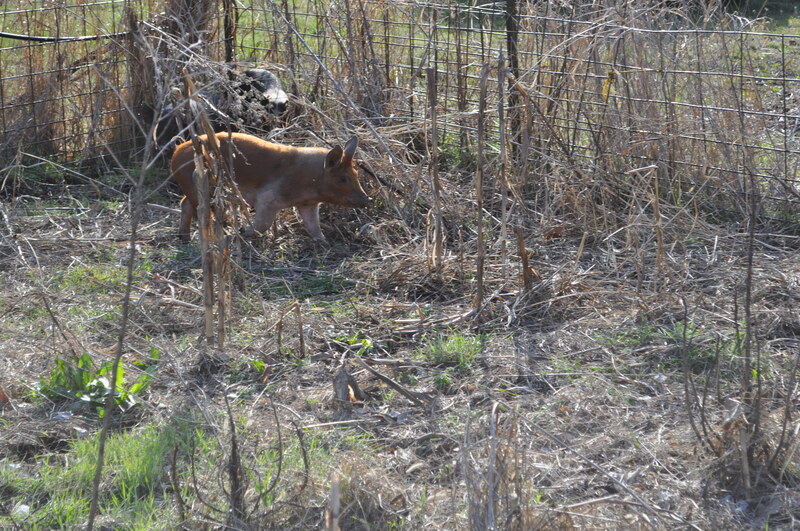 These little (er, not so little) oinkers have almost tripled in size since we got them about 6 weeks ago. And yes, they even like Johnson grass! Pigs after my own heart! Eat all the stinkin’ Johnson grass you want. Here are the little guys a week or so after we got them. 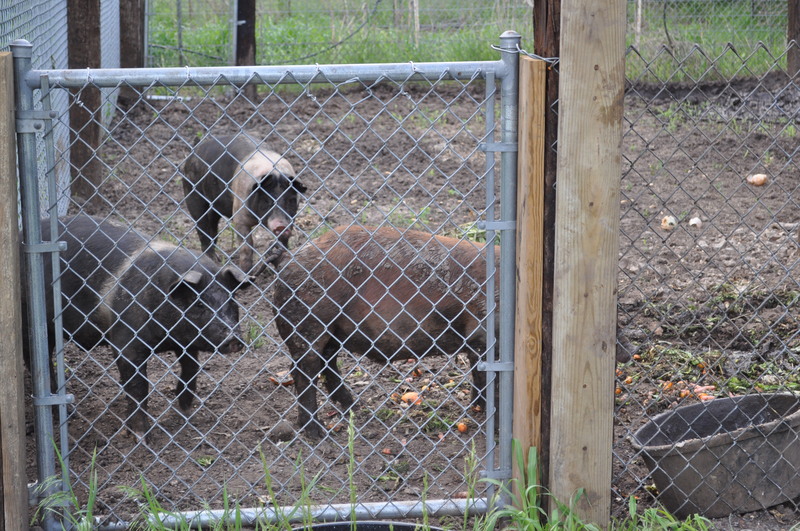 It’s nice to have pigs again this year, after taking a year off!